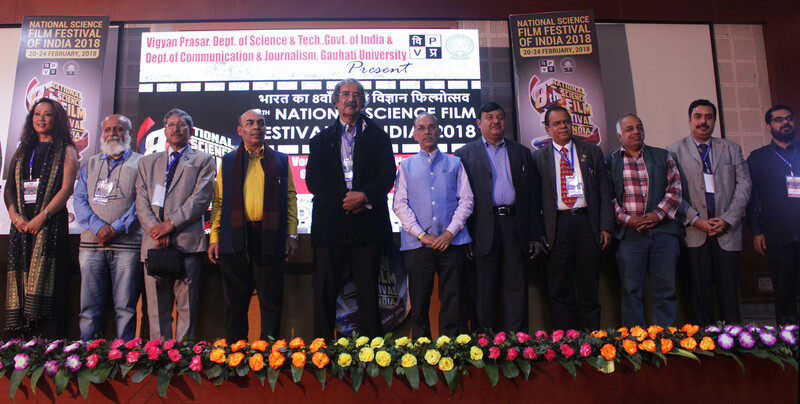 Over 200 films makers along with a large contingent of scientists, students and film critics from across the country have gathered here for eighth edition of the National Science Film Festival of India (NSFFI) which began today at the P.D Hall of Gauhati University. 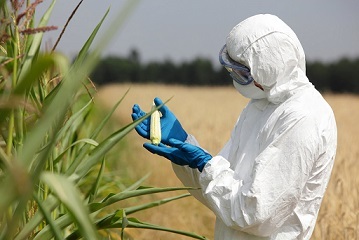 Nimish Kapoor, Director of NSFFI, said “the aim of the festival is to promote scientific temperament so that one can think and act scientifically.” In all, 232 films were entered for the festival and of them 82 have been shortlisted for screening. The festival provides a platform for professionals, non-professionals and student documentary film makers. The jur headed by three-time Green Oscar awardee Mike Pandey will select best films in various categories that would be given cash awards and citations. A documentary showcasing the Forest-PLUS program of USAID/India in collaboration with the Ministry of Environment, Forests & Climate Change was screened as the inaugural film. Titled `Forest – Securing the Future’, the film documents experience of improving and managing the forested landscapes of the country, particularly to help mitigate the ill effects of climate change. Twenty national and international organisations including UNICEF, IIT Guwahati, INDO-US Science and Technology Forum, National Council of Science Museums, CSIR-NISCAIR, British High Commission, Research Councils of UK, National Research Council - CNR Italy, Max-Planck-Gesellschaft, Germany India Office, Institute Francais (India) and Dr. Anamika Ray Memorial Trust are showing their films on science, technology, nature, health, technology, biodiversity and innovation. 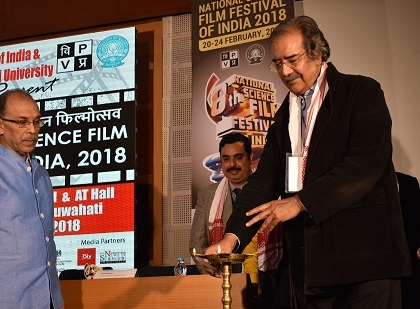 Dr Ankuran Dutta, Head, Department of Communication and Journalism, Gauhati University, said films screened during the festival would cover a wide spectrum of themes including health, water reservoir system, pollution, climate change and scientific achievements. Vice Chancellor of Gauhati University, Dr. Mridul Hazarika, chaired the inaugural session. Dr. Manoj Kumar Patairiya (Director, CSIR-NISCAIR), Prof Sambhu Nath Singh (Director, School of New Media Studies at IGNOU) and Dr Suresh Kumar Nath (Registrar, Gauhati University) also addressed the gathering.